January 11, 2018 August 21, 2018 Comments Off on Convertible hand truck, for safe and effortless transports. In many companies, particularly in transport or delivery companies, the problem of transporting heavy loads is often evident. For example, let’s put the case (not so rare) that a delivery company must deliver a refrigerator to the third floor of an inhabited area, without elevator: in this case the operators will have to transport the load, with the risk of damage to the goods and, much more serious, putting their health at risk. 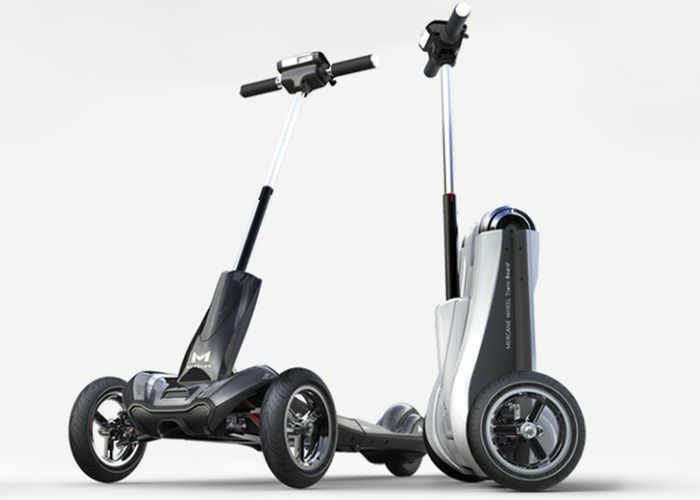 Fortunately, technology meets us, thanks to the electric stairs climbing, which allow safe and effortless transports. Thanks to the special crawler tracks they are equipped with, they do not damage the flooring of any material. It is also possible to use them outdoors, on grass, gravel etc. and it will not be necessary for the operator to keep the load balanced. One of the leading manufacturers of stairclimbers is Zonzini, which produces stairclimbers for all requirements: from the tracked ones, suitable for heavy loads, to those for medium-light loads and all of them are high level engineering products. The aim is to optimise the work of operators (who will no longer have to be in 2 to transport a load) and to allow safe and trouble-free work. One of Zonzini’s most innovative appliance hand truck is Buddy Lift, a state-of-the-art convertible hand truck. Thanks to its “Lift” function, you can lift the load, with the advantage of being able to manoeuvre even in very tight spaces. No weight to move, so much safety and no fatigue with Buddy Lift. In the world of scale transport, Zonzini is the leader, above all for its ability to design and produce stairclimbers capable of overcoming narrow staircases with a more unusual shape, such as helical staircases. Heavy loads, thanks to high technology, will no longer be a problem and you can easily transport vending machines, household appliances and loads of all kinds. In this sector, the ability to invest time, resources and money in research and development is absolutely of primary importance, in order to make sure to identify and interpret better and better and with increasingly innovative tools, the needs of the market: continuous research for improvement and ease of use are the focal points on which Zonzini is focused, which continuously invests to produce the best stair climbers that are on the market.